The cabin of Hudson VH-AGJ on display at the RAF Museum, Hendon on 4 April 2017. 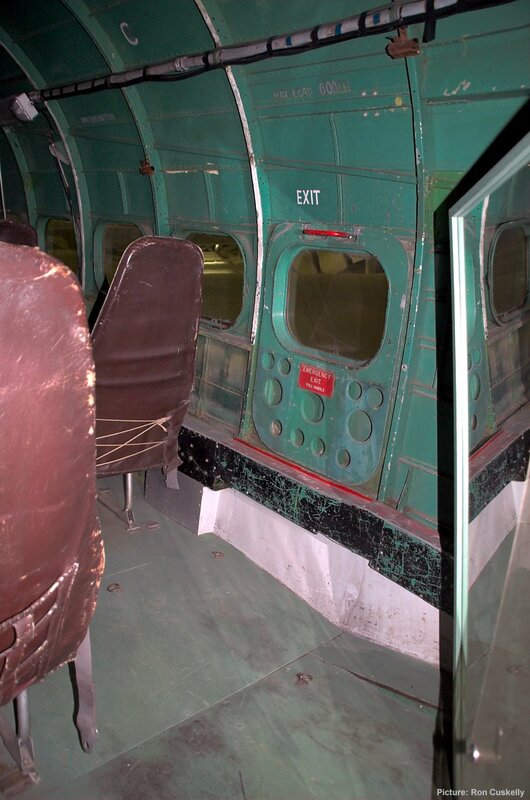 This view shows the emergency exit hatch on the starboard side. The cabin is effectively an Adastra time capsule. At right is a clear plastic panel which usually covers the open doorway.